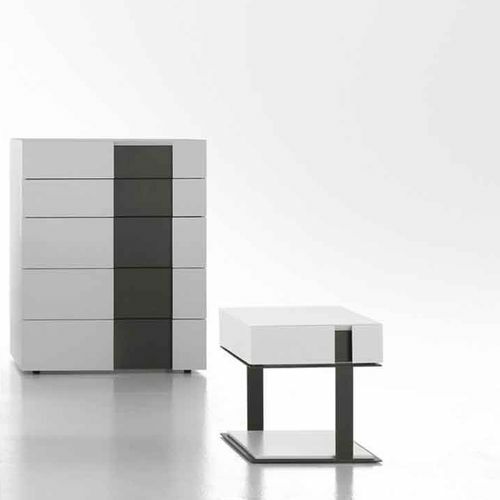 The Inside night stands and dresser are distinguished by the characteristic insert which can be in a different finish compared to the structure thus giving an elegant and refined look. The insert also can be further customized and embellished with tecnopelle or leather. All the drawers are soft–close.